Select Combo/Seq from the chooser. Select your jump and number of revolutions. 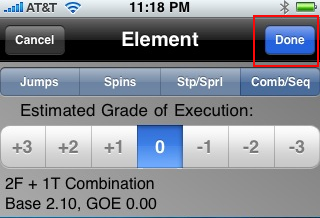 Then tap the + button to add the jump to the combination or sequence. 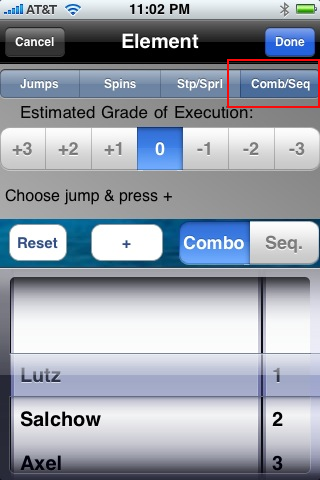 Change from jump combination to sequence and back at any time. Tap Reset to clear the jumps and start over. As you make changes Sk8 Score! 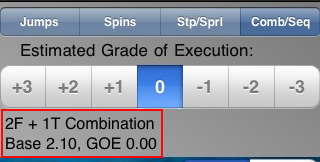 dynamically recalculates the total points.